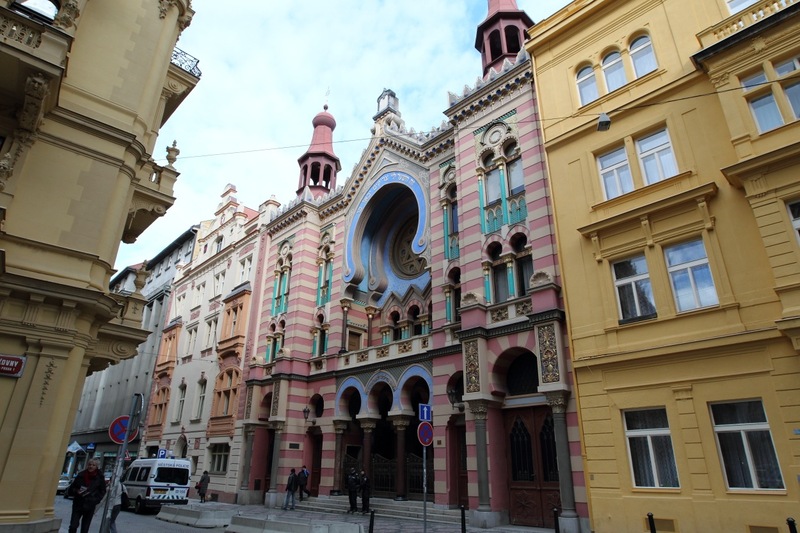 The Jewish population began to settle in the region of Prague in the 10th century. The first settlements, which later disappeared without a trace, were in the Lesser Side (at Újezd) and below Vyšehrad. Possibly in the 1st half of the 12th century another Jewish settlement with a synagogue was established around today’s Dušní Street. 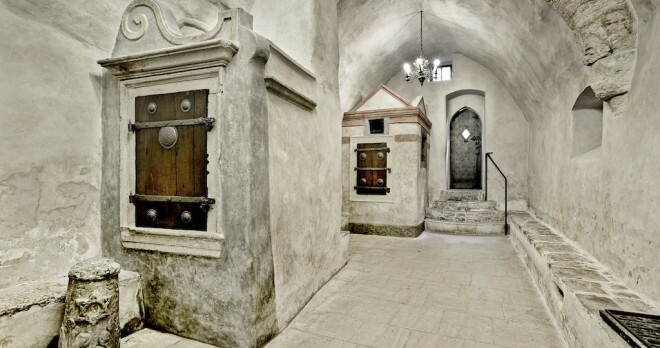 During the first half of the 13th century, the Jewish population spread to the area of today’s Old-New Synagogue and thus established the Jewish Town – the ghetto. 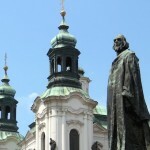 In 1850, this town became the fifth Prague quarter and was named Josefov (in memory of the emperor Josef II). 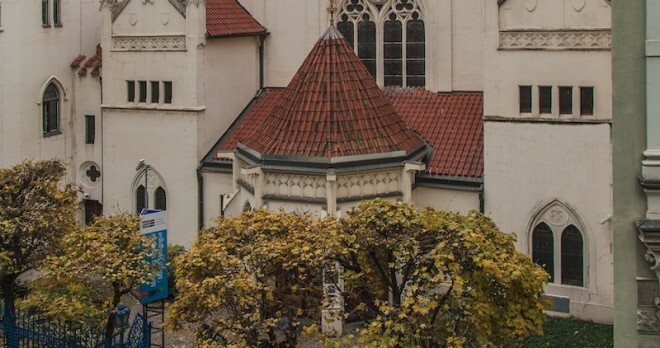 A Town Hall, six synagogues and a cemetery are preserved from the original neighborhood. Other buildings were demolished during the renovation at the turn of the 20th century and replaced by the Art Nouveau tenement houses and buildings — for instance Paris Avenue – Pařížská třída. 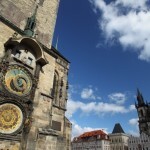 Option of combining learning with enjoying Prague’s range of cultural attractions. 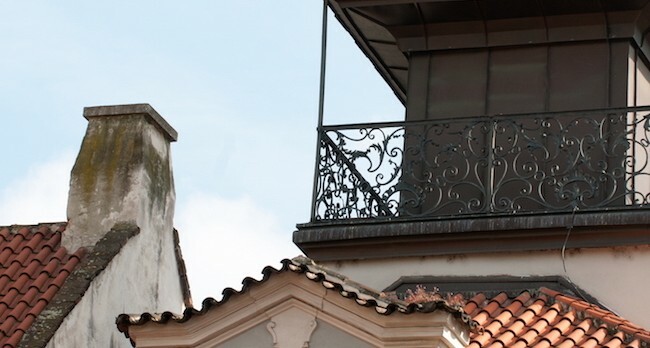 Take a tour of the Old-New Synagogue, the oldest monument in the Prague Jewish Ghetto and the oldest preserved synagogue in Europe! 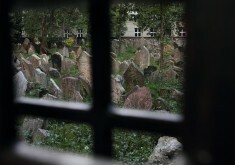 Even the mere fraction remaining of the Prague ghetto is amongst the most valuable Jewish monument in Europe. 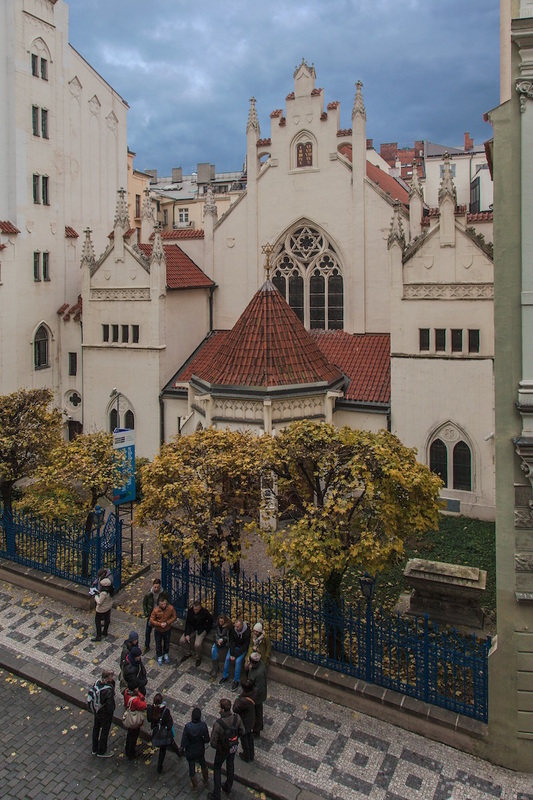 One of the most admired places, apart from the Old Jewish Cemetery from the beginning of the 15th century, the Jewish Museum and several synagogues is the Old-New Synagogue, as well as being amongst the oldest preserved Gothic buildings in Prague! See with your own eyes how important a figure Mordechai Maisel, who had this synagogue built, was to the Jewish Quarter. 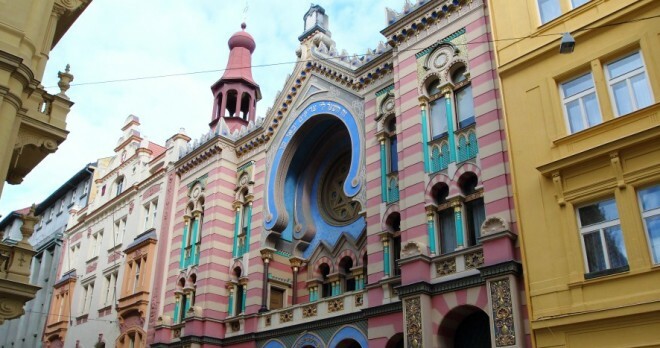 You will be charmed by a visit to the youngest and grandest synagogue in Prague’s Jewish Quarter. 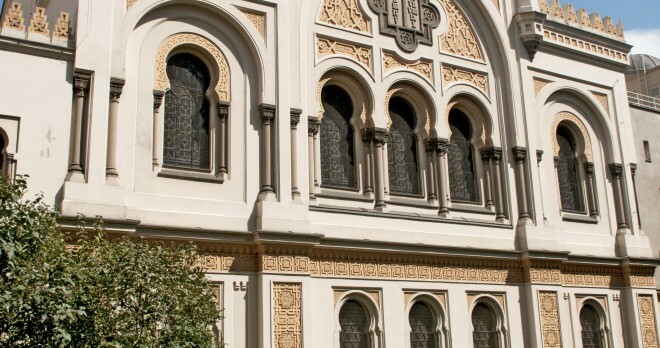 The Spanish Synagogue acquired its name from its Byzantine-Moorish style, which was very fashionable at the time. 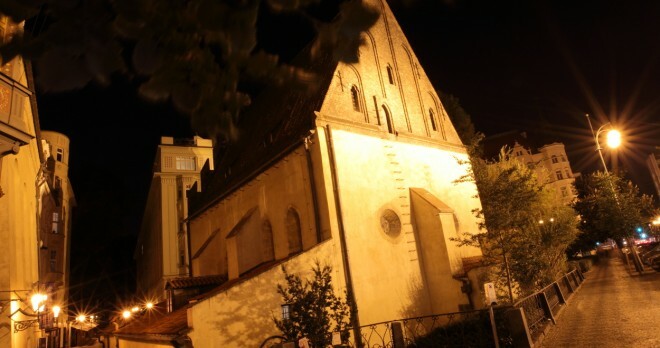 A genuine Benjamin in the family of Prague’s synagogues, it was built in 1868 according to a plan by Jan Bělský. 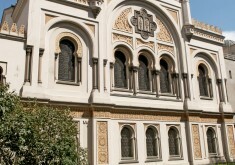 The Spanish Synagogue is notable not only for its Oriental decor but also for the number of great concerts that take place within its walls every year, and not just of Jewish or classical music. 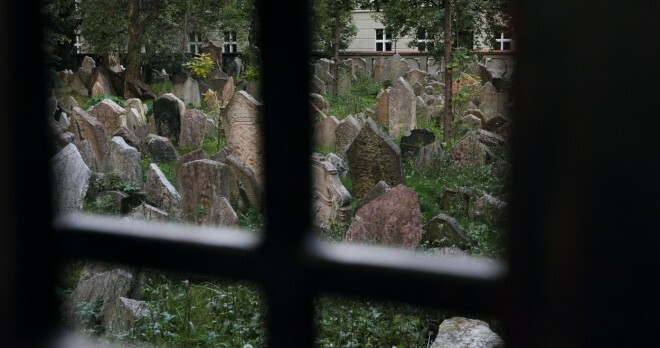 You will be enchanted by the genius loci of the largest and only well-preserved Jewish cemetery in Europe. The greatest figures in European Jewish scholarship are at rest in the Old Jewish Cemetery in Prague. However, its history is not the only thing that makes the place unique. An indescribable feeling, a certain spirit, also makes the cemetery one of the most important Jewish historical landmarks in Europe. 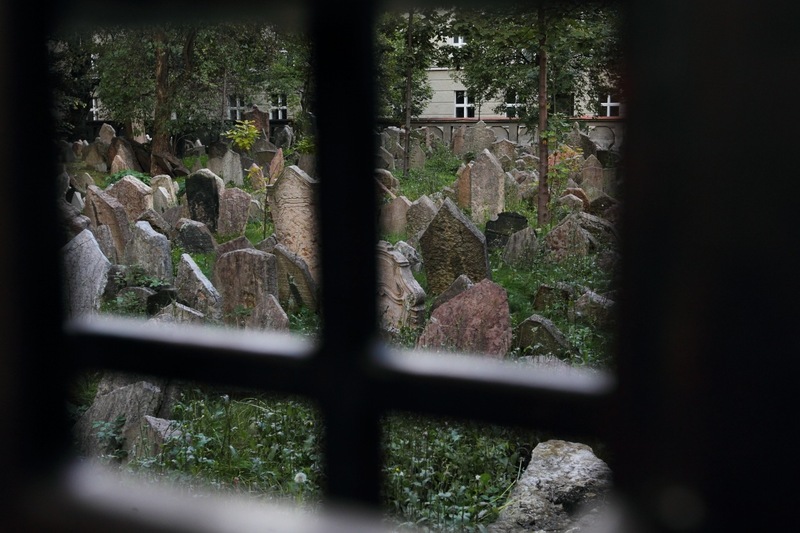 The Old Jewish Cemetery was founded in the first half of the 15th century. The oldest tombstone dates from 1439 and belongs to scholar and poet Avigdor Kara. During its existence the cemetery has been expanded several times. However as the site was too small, additional soil had to be brought in and it is likely that several layers of the dead are buried on top of one another. Therefore the almost 12,000 tombstones there today are a mere fragment of the total number of graves. Among the most important figures buried in the cemetery are Judah Loew ben Bezalel, Mordechai Maisel, David Gans, Joseph Solomon Delmedigo and David Oppenheim. 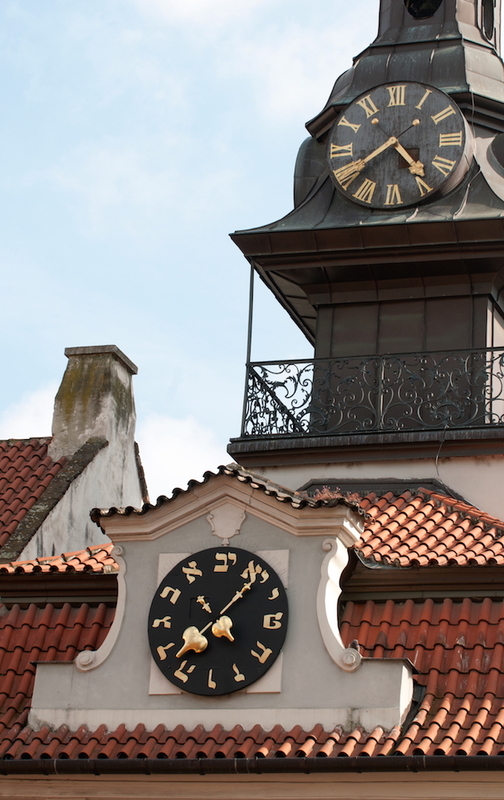 The Town Hall of the Jewish Town was built on the cost of the primate Mordechaj Maisel in the second half of the 16th century on the project of P. Roder. 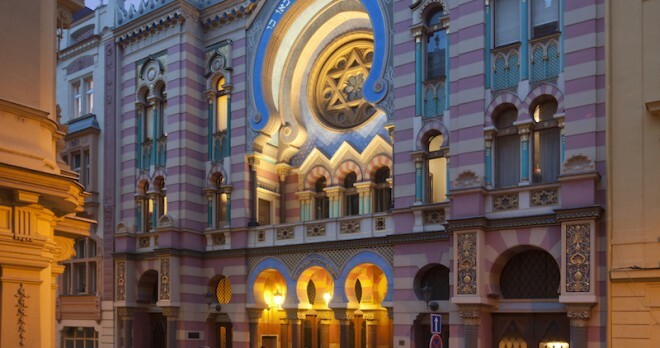 Visit the largest and also youngest synagogue in Prague, a place of importance for the Prague Jewish Community. 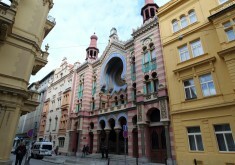 The Jerusalem, or Jubilee, Synagogue is a wonderful example of Art Nouveau stylisation of the Moorish style. 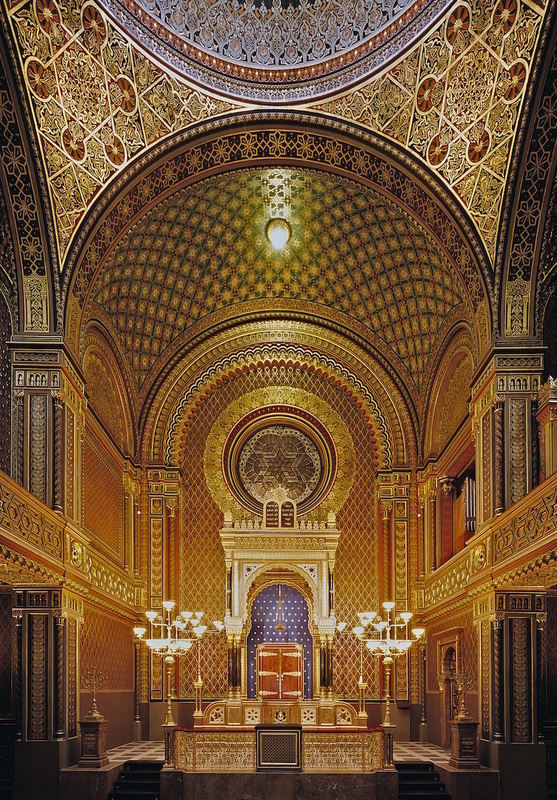 Richly decorated and equipped with a huge organ, it is the work of legendary architect Wilhelm Stiassny, who built a number of synagogues throughout the Austro-Hungarian Empire. During the clearance of Josefov at the end of the 19th century, the Gypsy, Great Court and New synagogues were demolished. 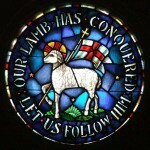 In 1899 the Society for the Construction of a New Temple was set up with the sole aim of building a new house of prayer. The society bought an old house in Jeruzalémská St. in the New Town as a site for the new synagogue, which was built in 1905–1906 and dedicated on the Simchat Torah holiday. It is an amazing example of Art Nouveau stylisation of the Moorish style full of Islamic arches. It has undergone several renovations since 1992. 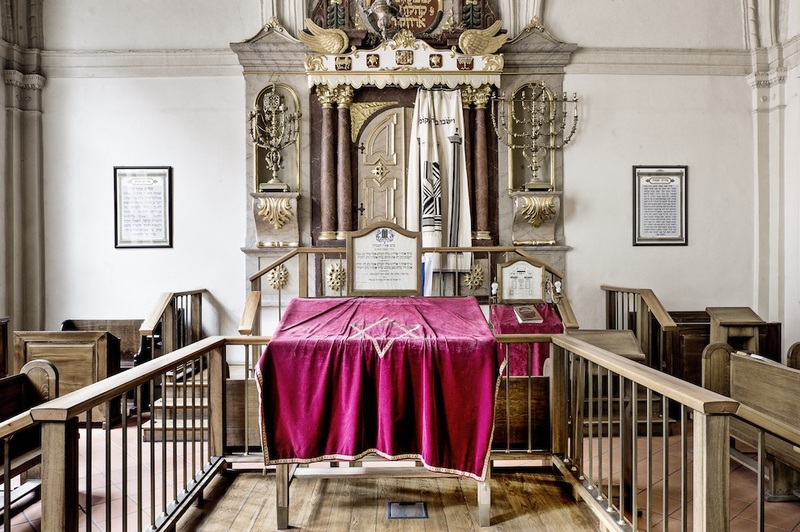 Today it is open to the public and is used for Orthodox prayer services. 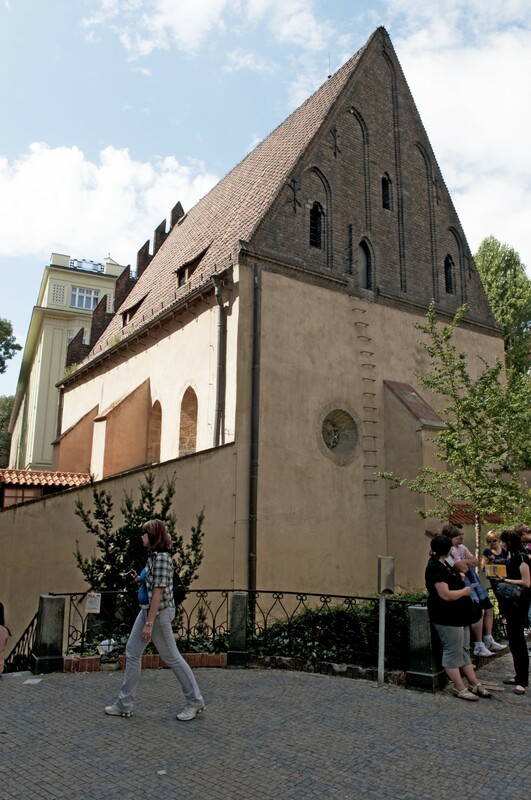 Visit the second oldest synagogue in Prague, today a memorial to almost 80,000 Bohemian and Moravian victims of the Shoah. 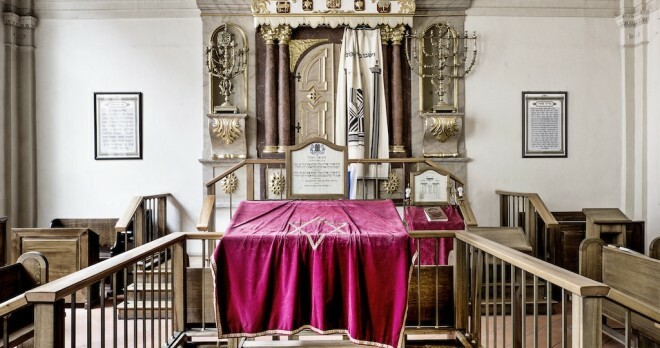 The Pinkas Synagogue originally served as a private prayer hall for the prosperous and influential Horovitz family. Aron Meshulam Horovitz, an important member of the Prague Jewish Community, had it built in 1535. The Pinkas Synagogue stands at a lower level than the surrounding terrain, which has led to it being frequently flooded. Linked to this is a problem it has suffered from for many years: the seeping of ground water into the walls. Between 1955 and 1960 the interior was modified according to a design by the academic painters Jiří John and Václav Boštík. 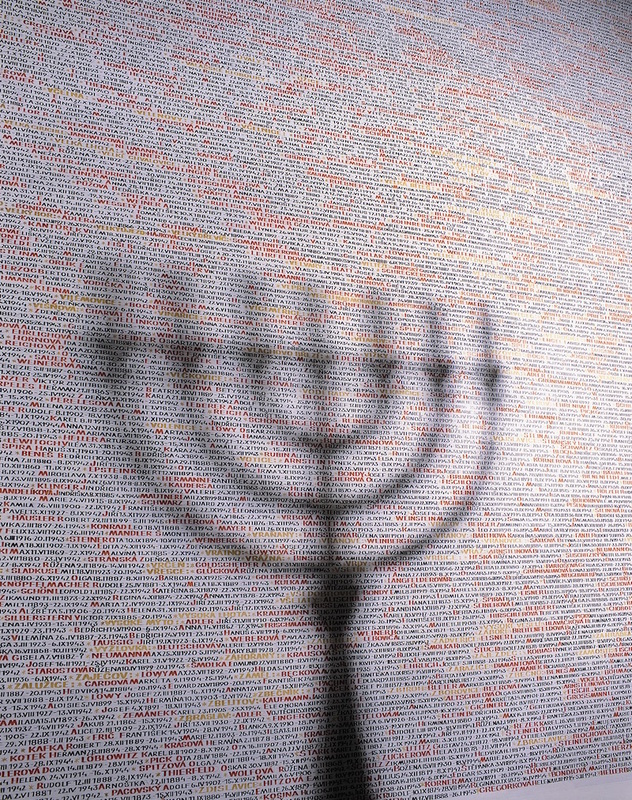 The synagogue was transformed into a unique memorial to some 80,000 Bohemian and Moravian victims of the Shoah, with their names, dates of birth and death, and relevant community written on the synagogue’s walls. Drawings by children from the Terezín ghetto are also on display. 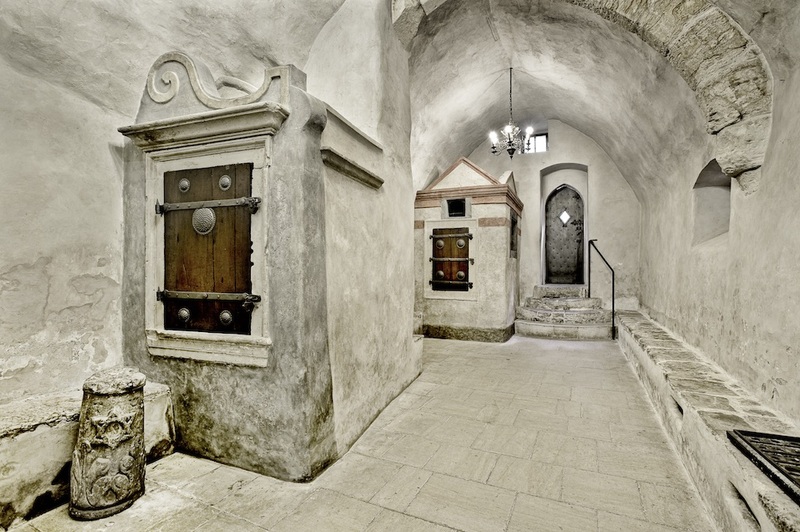 While carrying out research in 1968 archaeologists discovered a valuable mikveh in the cellars of the adjacent building; in 1990 the Prague Jewish Community installed a new mikveh nearby to serve the needs of its members. In 1968 the authorities closed the memorial at the Pinkas Synagogue for 21 years. 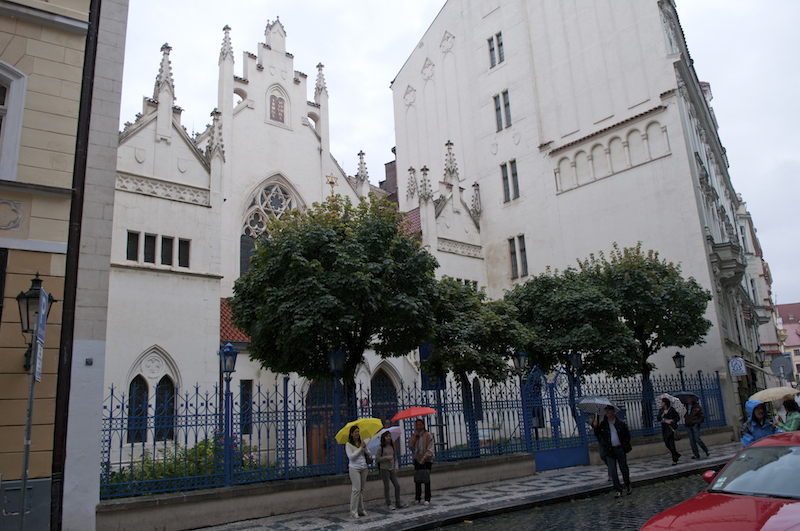 In 1992, however, the memorial was renovated and the synagogue was reopened. 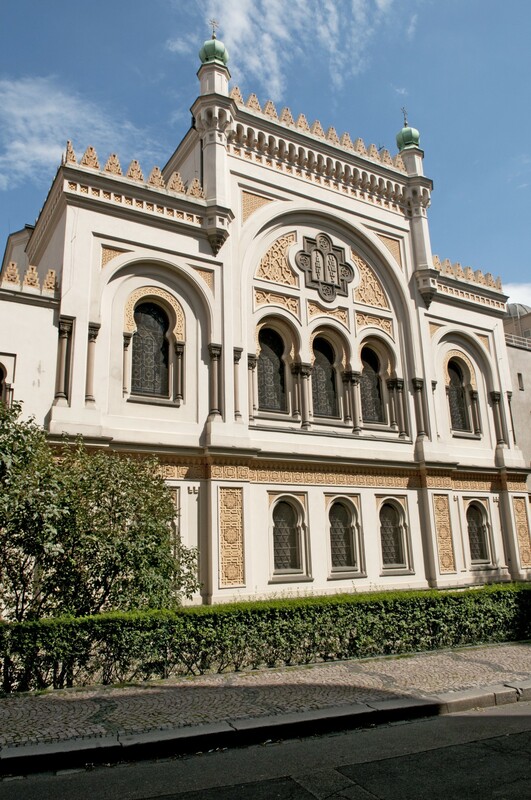 Take a tour of the largest synagogue in Prague’s original Jewish Quarter, which also served a Prague burial society. 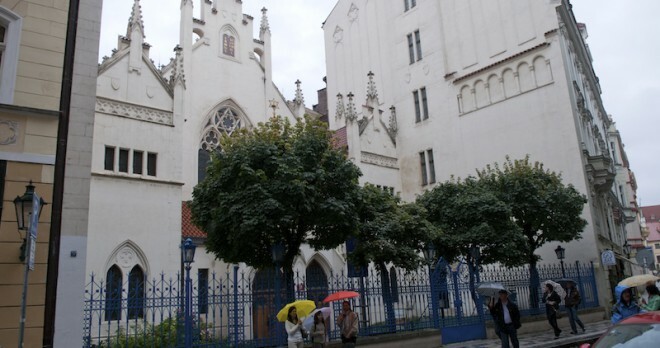 The Klaus Synagogue stands in close proximity to the Old Jewish Cemetery in the middle of the historic ghetto. 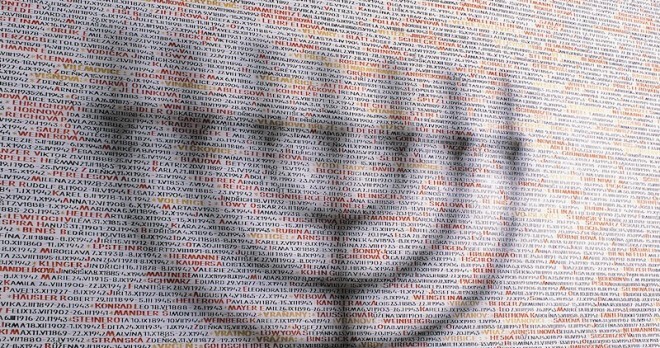 Several of the most important names in Jewish history are connected to it, including the mayor of the Jewish Quarter, Mordechai Maisel, and Rabbi Loew. 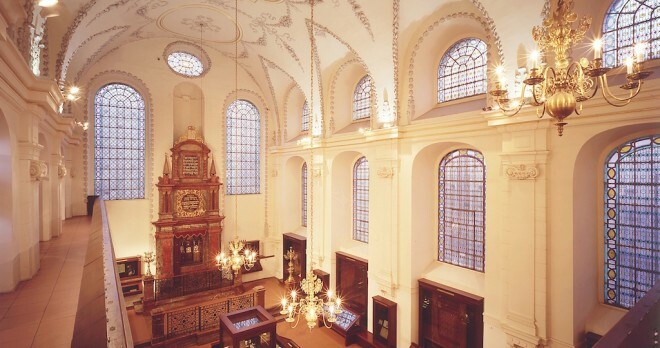 The name of the Klaus Synagogue comes from the German word “klaus”, meaning a small building. 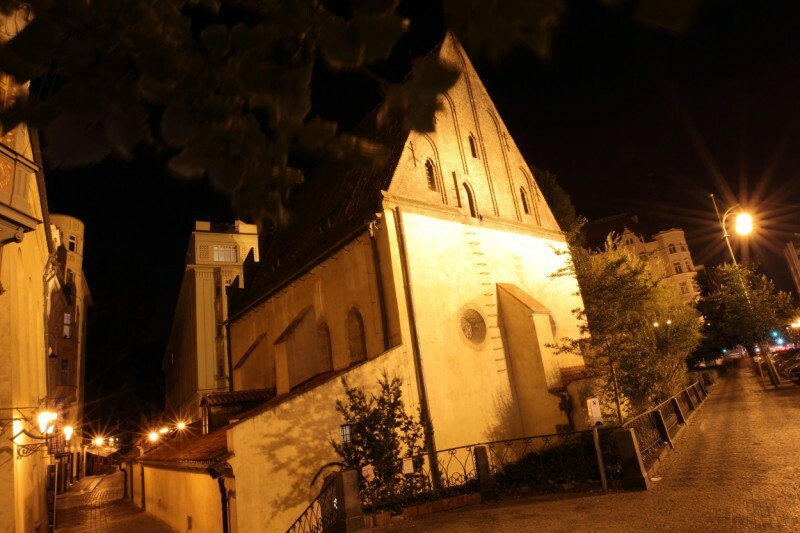 The site of the present-day synagogue was previously occupied by a smaller prayer hall built toward the end of the 16th century on a site purchased by mayor Mordechai Maisel; it was a complex of three buildings, a yeshiva set up by Rabbi Loew and two synagogues. In 1689 the whole complex was reduced to ashes in a great fire in the ghetto. 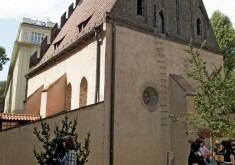 Five years later a new building was erected on the spot, becoming the second main synagogue of Prague’s Jewish Community and the largest synagogue structure in the Jewish Quarter. Another reconstruction was carried out in the 1880s. 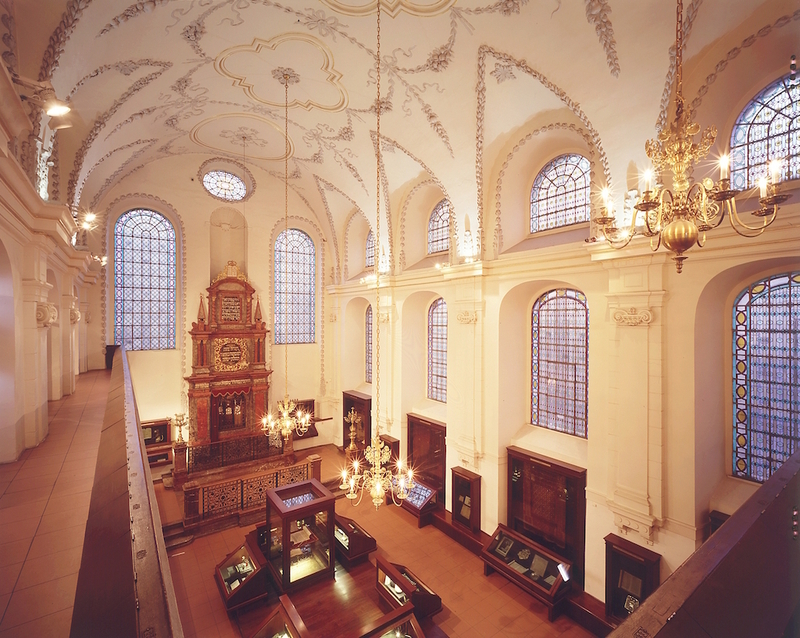 Today the building houses an exhibition on Jewish traditions and customs. 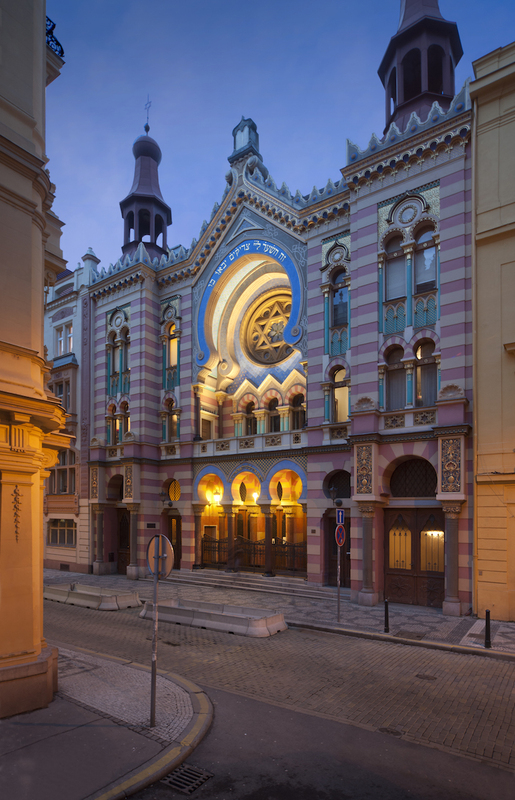 You will be captivated by the mighty tones of the newly repaired organ at Prague’s Jerusalem Synagogue. Dating from 1906, the organ at the Jerusalem Synagogue dates was built by Prague organist Emanuel Štěpán Petr. For many years the organ was in a poor state and it was not until recently that it was repaired. That move has made it possible for the synagogue to today host an annual series of organ concerts drawing on the works of the greatest composers in the field. 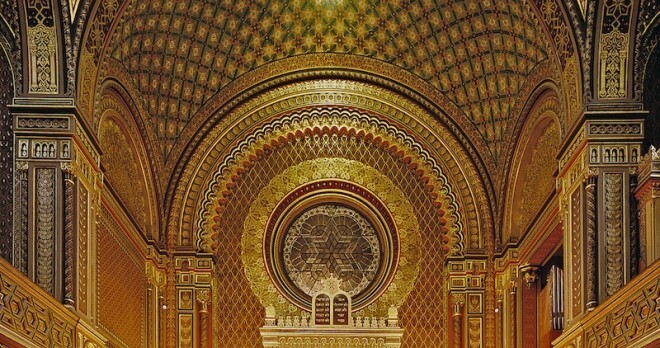 The organ at the Jerusalem Synagogue was built for use in the liturgy, to accompany the singing of the cantor and choir. It is not, therefore, an instrument intended for virtuoso concert playing. Nevertheless, it allows for the performance of the period music of several centuries, in particular the neo-Romantic period in music. During the season, various preludes, fugues, fantasies, meditations, romance and other musical forms by leading composers, including Bach, Martinů, Mendelssohn-Bartholdy, Löw and Bloch, are performed. But there is more to attending a concert at the Jerusalem Synagogue than music; it can be an immensely spiritual, if not mystical, experience.